Sea Ray celebrates its 60th anniversary in 2019, as Brunswick Corp. repositions the iconic brand without its yacht and sport yacht segments. Brunswick will reinvent and reposition the brand in the coming year, said David Foulkes, who will take the helm of parent company from Mark Schwabero on Jan. 1. “We’re all looking forward now with Sea Ray,” Foulkes says in the video. On Dec. 5, 2017, Brunswick announced that Sea Ray was up for sale. CFO Bill Metzger confirmed to analysts during a conference call after the announcement that Sea Ray was operating at a loss and implied that it had been doing so through much of fiscal 2017. 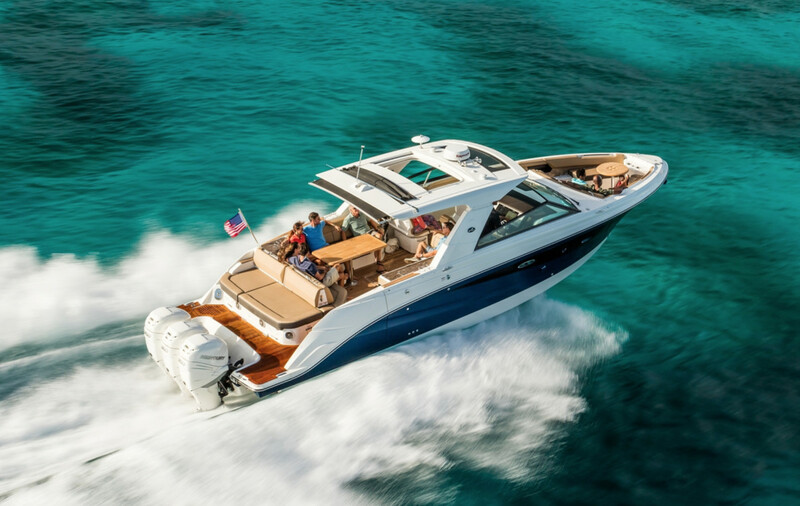 In June this year, Brunswick announced it would retain Sea Ray because it was unable to get an “appropriate value” for the brand. The caveat was that it would discontinue its yacht and sport yacht lines, which accounted for about 10 percent of revenue, and would eliminate about 825 jobs. “We’ve gone through a period of change over the last 12 months, and the resilience and patience of the employees has really been astounding,” said Brunswick Boat Group president Huw Bower. Sea Ray had a productive fall boat-show season, Anderson said, and made investments in its Tellico, Tenn., plant, which just turned 35 years old. Watch the Sea Ray video here.